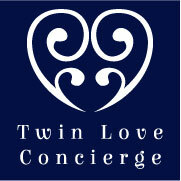 Twin Love Concierge’s Expecting Twins Classes help connect you with other expecting twin parents in your local area while answering all of your twin questions. We combine the two essentials all new twin & triplet parents need – support and multiples expertise. The classes are run by a renowned Twin Expert and are personalized so that all YOUR concerns are addressed. Our services are recommended by OBGYN’s and High Risk Medical Practitioners all over the country. We provide invaluable support to expecting parents allowing peace of mind to relax and continue to grow the Twins as long as possible or focus on bringing home the babies.